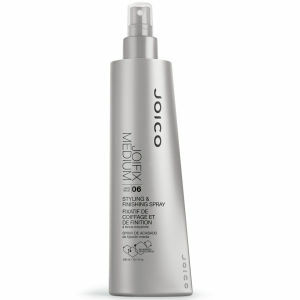 Give medium hold styling and finishing to your hair with Joico Joifix Medium Finishing Spray. This non-aerosol hairspray has humidity resistant formula to provide flexible styling without stiffness or flaking, in all climates. 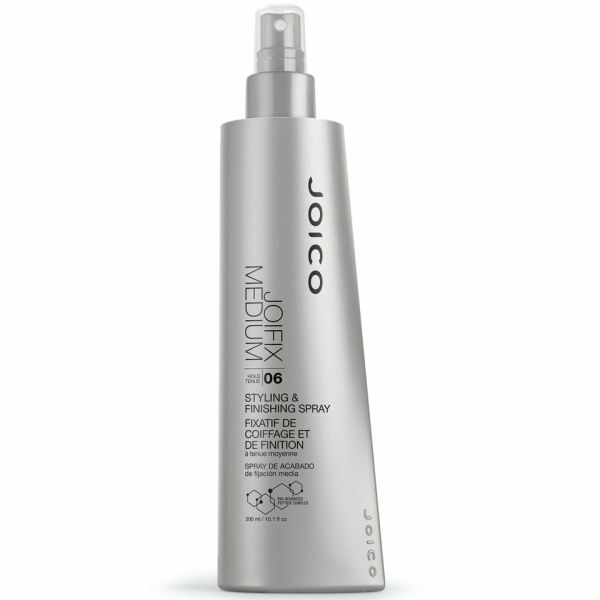 Including UV protectants and panthenol to provide shine as well as a barrier against the environment for your hair, the JoiFix Medium Finishing Spray provides maximum hold for all hair types and styles. Spray 8-12 inches (20-30cm) from dry hair.